Redecorating the bathroom? You might want to think about fitting a digital shower. With one touch controls, programming and easy installation, a digital shower can be a great choice for a new bathroom. If you want to know more about digital showers, then keep reading for the answers to some of the frequently asked questions about the devices. Basically, a traditional digital shower will shower you with a lot of added features. Firstly, there will be a programming feature that allows you to programme the temperature and pressure of your shower (and sometimes even different temperatures during the same shower…). This means that you press one button and the shower is perfect. And since digital showers use pre heated water and temperature control, the water is perfect from the second you turn the shower on, which means no more wasting water by running the shower to the right temperature before you get in. What’s the Difference Between Concealed and Exposed? Most commonly, digital showers are exposed. This means that the water uses the shower rail as a pipe. Having an exposed digital shower means that there’s little difficulty fitting it, and no damage to your bathroom tiles or walls. However, you do need easy access to the ceiling space above the shower for this to work. A concealed shower works in much the same way as a more traditional shower, in that the pipes are fitted behind the walls and only the shower head and controls are visible. This obviously requires more work to install. Finding a concealed digital shower is difficult as most manufacturers only make concealed showers. How Long Does it Take to Install an Digital Shower? An exposed digital shower will take only around two hours to install, a concealed shower will take much longer, generally a day, plus another day to repair walls and tiling. Both kinds of showers should be fitted by a plumber. What Kind of Plumbing System Do I Need? It’s important that the plumbing system in your house is a gravity fed system. This is because digital showers have booster pumps fitted to give more water pressure. You cannot add a booster pump to unvented or combination boiler plumbing systems. If you don’t know what kind of plumbing system you have, it’s best to ask a plumber. However, the majority of domestic plumbing systems are gravity fed. 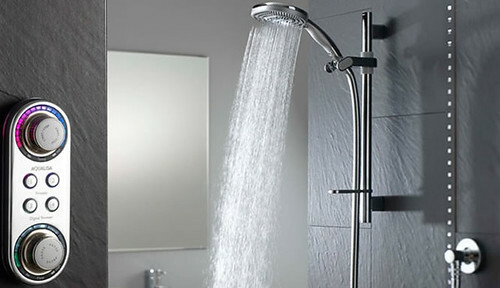 There are a wide range of price options for digital showers, anything from around £250/$300 to more than £1500/$2000. It really depends on how much you want to spend, and which features you’re looking for. Top end digital showers will come with steam functions, relaxing light shows, piped music and body jets. 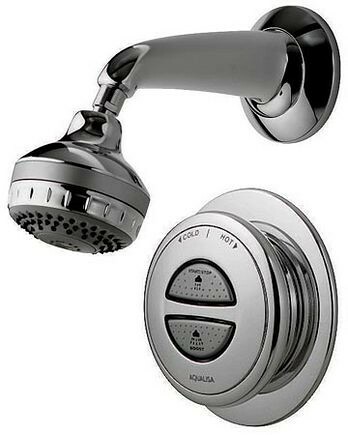 Basic digital shower systems will function in much the same way a regular shower does, but with the convenience of one button operation, and a much easier installation process. 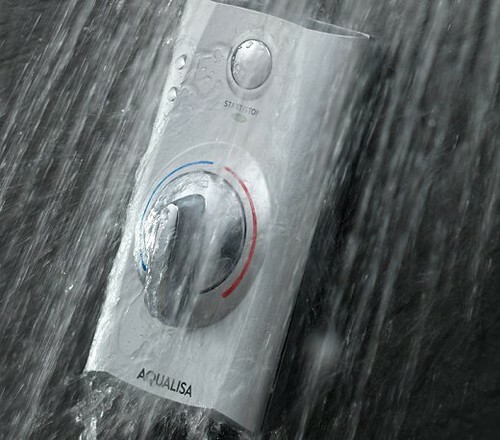 Phil Turner recently refitted a bathroom and found a great shower at Aqualisa Digital Showers.